What this German company is doing from Fairburn, Georgia might be unexpected, but it’s something the automotive industry and other customers can’t do without. Hard to believe but even people in the automotive industry can be surprised by some of what goes into producing a new car. 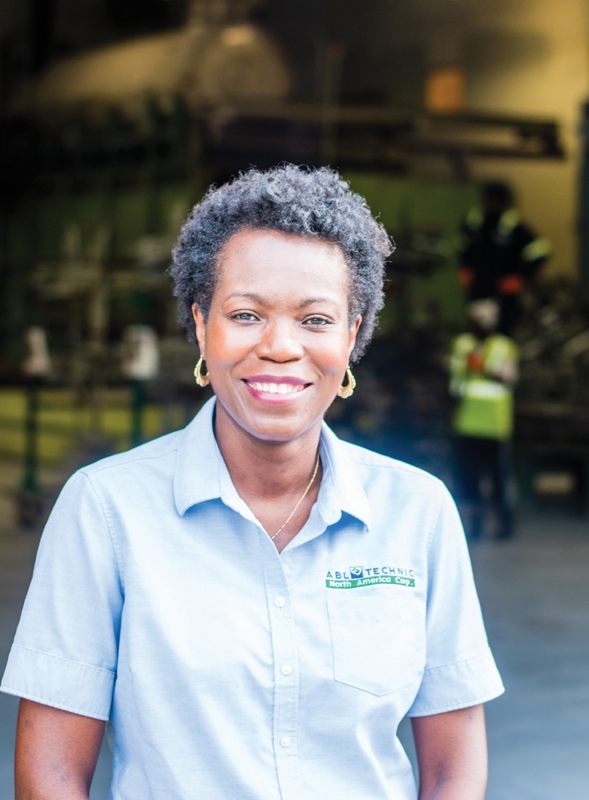 “I worked at BMW manufacturing for ten years, and never would have known that there was a business model for something like this, ” says Yolanda Upshaw, the general manager of ABL-Technic in Fairburn, Georgia. The business model she refers to, the one she and her crew of 20 are responsible for carrying out every day, involves the surprisingly intricate and remarkably – environmentally friendly – art and science of removing paint. ABL-Technic, a German company which put its first U.S. plant in Fairburn about six years ago, has a footprint that includes 26 locations in 15 countries across the globe. And taking off paint is what they do everywhere. “Our tagline is We Strip Paint Worldwide, ” Upshaw says. What ABL does is more important in car manufacturing than you may realize. The company serves all the OEMs from South Carolina to Mississippi, and their Tier 1 and some Tier 2 suppliers. How? By removing paint from parts before the car is put together. “Say a Tier 2 supplier who has E-coated something and the paint is not to the proper standards, we remove that paint so … they don’t have to discard the parts; they can repaint those parts, ” Upshaw explains. “For Tier 1 there’s tools and fixtures that they use, say, in a bumper manufacturing … and there’s a lot of paint. So anyone that has a paint line, we service them, ” she says. Upshaw offers a scenario where the excess paint adhering to tools and fixtures can affect the performance of those devices, so removing that paint can actually make the difference in how well a given device does its job. And, says, Upshaw, removing unnecessary or excess paint from the bumper itself can make the difference between keeping and using that bumper or sending it to the discard pile. Another example involves robots painting doors. There are devices that make it possible for robots to properly paint doors, which requires opening and closing them. Excess paint on the fixtures and tools may make it hard for them to properly hold those parts. ABL strips the excess away, eliminating contaminants in the paint line and keeping the operations going smoothly. 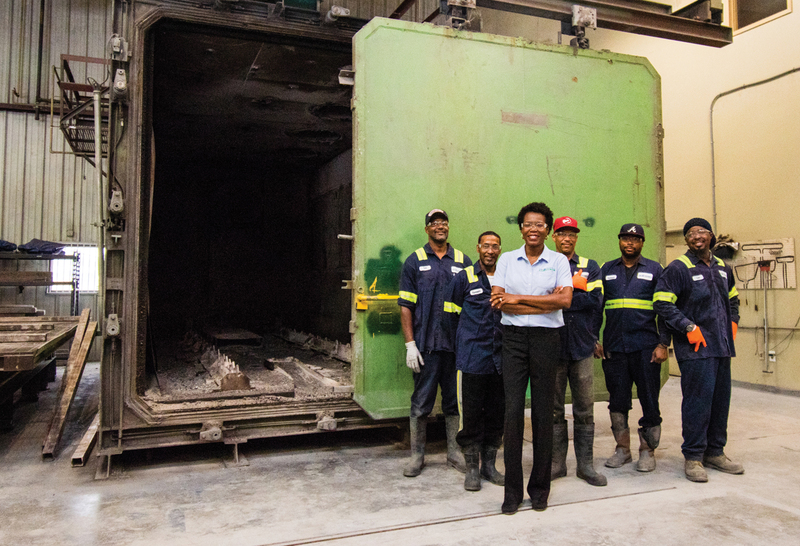 “We’re a service provider that allows them to meet their quality standards, ” Upshaw says. Shot peening, by the way, is similar to sand blasting, except that is specifically removes contaminants from parts and rehardens the surface of the parts, Upshaw says. Keeping the work clean and handing uncontaminated parts to their clients is just as important in the chemical process, Upshaw notes. “We want to make sure that once we place the fixtures or tools into the chemical baths, we strip the paint, that we wash them thoroughly afterwards to remove any paint and as well as chemicals from the tools and fixtures, ” she says. Close to home in Fairburn, ABL has some customers that are much smaller than automotive manufacturers, the kind of customers that connect them to their community. Another way ABL works with its community is recycling water. “We have a big project where we’re working on recycling our water that we use, because on the chemical lines we use a lot of water to wash the parts. So we’re putting in a water recycling farm in our facility, ” Upshaw says, noting a connection to another, more international project the Georgia facility is spearheading. “I just heard on the radio the other day about how we can adopt a water well in Africa. So I was like, that would be cool if I can just get the team to give a dollar a month, ” she says. Between the time she gave this interview, and the time you’re reading this story, ABL got its well-fundraiser up and running with the goal of raising $500 for the well, and the company promising to match all employee contributions. Even with such outreach efforts, few people know much about ABL in the local community, but Upshaw hopes to change that. She wants ABL known as a company that cares for its neighbors, even with the industrial nature of its business. the air so that it doesn’t get released into the environment.